Jack Dorsey had a heck of a month in May. The co-founder of Twitter and founder of Square has seen his net worth skyrocket in the past month thanks to his stakes in those two companies. Twitter's stock jumped 14% in May—which is significant because the S&P 500 only gained 2.6% in the same time period. Square did even better in May. Shares of the mobile payment company were up 24% to a record $58.90 as of May 31st. That means Dorsey's stake in Square has made him an additional $668 million in May. His Twitter shares have increased by $65 million. At the end of May, Square has a valuation of $23.6 billion. Twitter has a valuation of $26 billion. Apparently, Wall Street's movers and shakers have finally gotten used to the idea of Dorsey being at the helm of two publicly traded companies at the same time. Dorsey took over as the CEO of Twitter in 2015. At the time, that was supposed to be a temporary gig. He was plenty busy with Square, which was getting ready for its IPO and not without drama there. The company was struggling to justify its valuation to investors. The board at Twitter could not agree on anyone else to run the social media company, so, a month before Square's IPO, the job was given permanently to Dorsey. 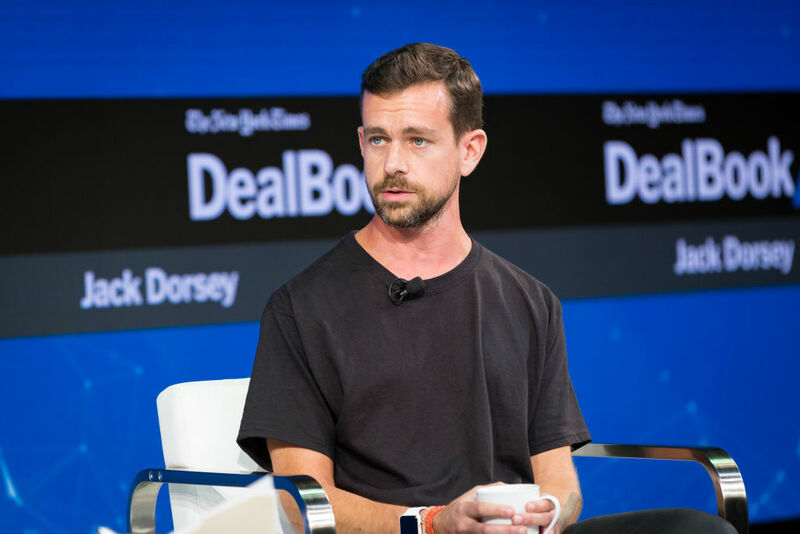 "While it remains to be seen how well new CEO Dorsey can manage both Twitter and Square, we believe he will be most focused on Twitter's product and making it easy to use." Now, three years later, those who believed in and stuck with Dorsey have made a ton of money, especially over the past 12 months. Twitter shares are up 88% over the last year and shares of Square are up 154%. Twitter's stocks are up thanks to a better than anticipated earnings report. Twitter had its second straight profitable quarter. Earnings and revenue were better that analysts had estimated. Sales growth was fueled by video ads and international advertisers from China and Japan. Conversely Square had a disappointing earnings forecast, but that didn't seem to matter. Shares went up anyway. During the month of May, Square's stock had risen on 16 of the 20 trading days in May. Twitter's gained on 15 of the 20. Jack Dorsey Doesn't Take A Salary, But Where Is His Charitable Giving? While billionaire Mark Cuban would rather have a pet rock than bet on Bitcoin, Jack Dorsey feels exactly the opposite. The Twitter CEO predicts that Bitcoin will replace not just the dollar, but all world currencies in about a decade. The stock market has been on a decline for months now and it isn't good news for some of our favorite billionaires. Another tech mogul has been demoted from billionaire to millionaire.